Divorce is one of the most common family law issues that our firm handles. Going through a divorce can be incredibly difficult and adding children and financial assets to the mix only makes it harder. Our divorce attorneys at Foster, O’Daniel, Hambidge & Lynch understand that and work hard to make the process as smooth as possible. In Indiana, a divorce cannot be finalized until at least 60 days after the petition has been filed. It typically takes between 4-10 months for a divorce to be finalized. Before the divorce can be finalized, the assets must be divided, and custody arrangements must be made if the couple has children. Of course, each divorce case is unique and varies in complexity, so the length of the divorce procedure can vary greatly. Along with a divorce, several other legal issues often arise. These include division of assets, changing wills, child custody, and child support payments. 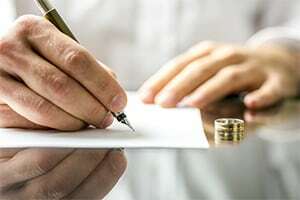 The attorneys at Foster, O’Daniel, Hambidge & Lynch are qualified to handle all aspects of the divorce process, including those mentioned above. If you are thinking about filing for divorce or are in the midst of the process, remember that you don’t have to go through it alone. If you need a divorce lawyer in Evansville or the surrounding area, call Foster, O’Daniel, Hambidge & Lynch for compassionate legal counsel.